Essex-based vehicle tracking company Enigma Telematics are releasing a new plug-and-play unit. The SK410 works on any vehicle with an OBD-II onboard diagnostic socket, with installation able to be carried out by the end user. It provides a full range of standard vehicle tracking data, including journey start and end, interval reports, speed, direction and distance and tamper alerting. 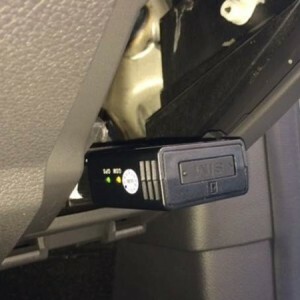 The unit can also provide numerous extra data through the OBD-II port, depending on the type of vehicle. All data recorded by the SK410 can be accessed on Enigma’s recently-updated Skyline 7.5 web platform. As well as via the standard PC web interface, users can access tracking data on the move with the latest Skyline tracking app for Apple and Android. David White, Sales Manager at Enigma Telematics, said: “This is a terrific new product. “The development team has done a great job and many of our existing customers feel this product can help to provide them with continuous data on the temporary vehicles they have coming through their fleet. “Additionally, new market opportunities are opening up in the leasing, daily rental and insurance sector.